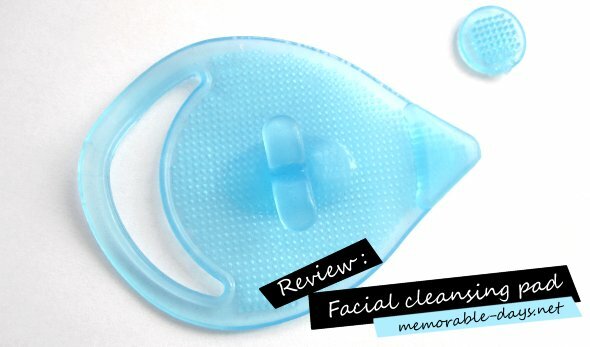 Facial Cleansing Pad - Blackhead Remover | Memorable Days : Beauty Blog - Korean Beauty, European, American Product Reviews. This is quite an old product already. You have probably seen this product before on blogs or in youtube videos. I have even seen a similar product like this at the latest bubzbeauty video ;). I recently purchased this product at Ebay and it's called the Facial cleansing pad also known as a blackhead remover. It also came with a very small round cleansing pad (I don't really know what to do with that, maybe it's for the hard to reach nose area? idk..). The product comes in two different colors: light blue and light pink. - it improves the blood circulation of your face by brushing lightly. I bought it only for $0.99 including shipping, very cheap~ from the seller : buyincoins_au. It took around 2 weeks to get here in The Netherlands. 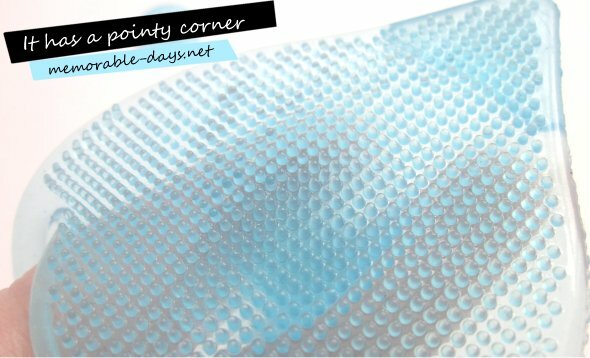 The seller didn't include the packaging of the product which is a pity and the cleansing pad was also a little bit bend when I received it =(. However, I told the seller about it and he directly refunded my money back, so yeah.. I can say that it's a good seller ^_^. 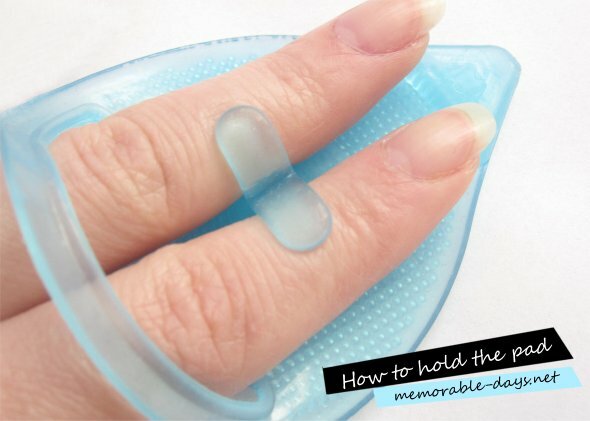 This is the way you hold the cleansing pad. The product is flexible and it’s really sturdy to work with. I'm using this while I clean my face with a cleanser. I use a circular motion. The pointy corner is great for the hard to reach nose areas. It doesn't remove my blackheads, but it does remove my white heads. It's a great tool to massage my face with and it gives me the feeling that my face is cleaner after usage xD. I usually use a washcloth or my fingers to clean my face but I don’t think that my fingers are removing the dirt/make up sufficiently. Therefore, I'm happy that I bought this tool :). Yes, I recommend this beauty tool ^__^, it's cheap and it's very easy to work with!